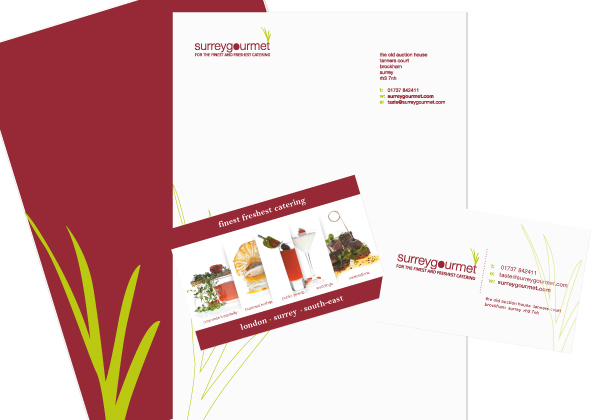 Surrey Gourmet is a family run catering business with over 20 years experience in social and hospitality catering and they are experts in delivering bespoke events. They approached us to redesign their corporate identity as their existing logo of a chef was out of date and not doing their business justice. We decided to stick to using the existing deep red as we wanted to show progression and complement it with a vibrant lime green and more contemporary type. It’s a pleasure to see their vans winding through the Surrey countryside with their new logo on them!